This month is Indie June which is being supported by Love Knitting, an online retailer and social network for knitters that currently sells a selection of my knitting patterns. A celebration of global independent designers, Indie June set me thinking about my design work, where it fits in within this global community and how design fits into my wider work schedule. It’s this last point that I want to focus on today. Many Indie Designers have what may be referred to as ‘portfolio careers’ combining design with other disciplines or jobs within the knitwear industry, for example, tech editing, teaching, photography, yarn design, etc. Similarly, many designers also juggle Independent Design with design work for magazines and pattern collections. Different designers will balance these elements differently as they weigh up the need for consistent and regular income, with developing a customer base, establishing a recognisable design aesthetic and embarking on larger projects like their own collections or books. When I speak to other designers about this, what comes across is a sense juggling, of trying to keep all the balls in the air, a more frenetic picture than may be evoked by the concept of a tidily organised and well presented portfolio. Another perhaps more apt image is that of the duck madly paddling under the water whilst appearing to glide majestically along the surface. My situation is both similar and somewhat different. There’s no less juggling, but I juggle my design work with a second job outside of the knitwear industry as an Independent/Freelance Researcher. I have been doing this since I left my job in the NHS in 2009, the same year as I published my first pattern. Having 2 unrelated Indie jobs in the ‘portfolio’ can be challenging. Primarily because they do not feed into or help build each other, although either can offer respite from the other from time to time which can be helpful. However, success in the Research job with commitments to clients means less time to spend on Design and less consistent time. It is this inconsistency which I find most challenging for my design work. Often it feels that just as I build up some momentum I have to stop and shift my focus. Patterns move through a large number of stages from initial idea, sketching, planning including swatching, maths, problem solving, pattern writing, sample knitting, pattern re-writing, photography, pattern layout, tech editing, pattern release, pattern publicity. No matter how organised I feel I’m being, you can bet that once this process is interrupted and I have to come back to it, there’s a crucial bit of information that either hasn’t been recorded, or that has been but in a way that I thought made absolute sense but sometimes months later, simply doesn’t. As a result, patterns can sometimes sit for weeks, months and even years in the pipeline. Not surprisingly some yarns chosen can be discontinued during this process and sample need to be re-knit… you get the picture. This need to juggle and prioritise my Research work is also the reason I rarely submit to magazines, apart from the two Quince collections I’ve contributed to (Mainline & Hawserlaid) I have limited myself to collaborations that can offer the degree of flexibility I need, for example Knits for a Cold Climate and the single pattern Anthriscus designed for limited edition Susan Crawford Fenella Yarn. Thinking about participating in Indie June I found myself wondering whether, with such large recent gap in output, I was still an Indie designer? Then I looked at the spreadsheet of 18 new patterns at various stages of development (some imminent) and told myself to ‘just get on with it’. Surely one of things about being an Independent is being just that… Independent… ploughing ones own furrow. Whilst it can seem like everyone else is doing it right, what does ‘right’ really mean? How does one make sure that independent doesn’t become a synonym for isolation, self doubt, paralysis, but instead for autonomy and self determination and the ability to follow one’s own vision at one’s own pace? I am luckier than many who would like to move into designing in that I have another source of income. This does mean less designs, but also there’s no pressure not to continue designing. So I’m luckier than those who have to give up designing in favour of a regular income in a job that gives them little satisfaction and leaves them little time to do anything else. I have 2 jobs in my portfolio which whilst not the most complimentary are both hugely enjoyable. So like most things there are at least 2 sides to all this and I certainly wouldn’t want this post to sound like a ‘woe is me’ whingefest, I’m lucky that I get to work with some pretty fantastic people in both areas of my working life. I’m lucky that I get to work with fabulous yarns that other people have created to create things I want to wear daily and that other people do too. I also feel really lucky that as a researcher I get to evaluate and help develop projects that work with vulnerable people in a way that enables organisations to raise more money (e.g. from the Lottery) to support more people and to do so more effectively. So as messy as it can all get from time to time, it’s pretty good, and what’s more having taken the time to stop and reflect, I also made some new plans to move things forward. These are positive steps that I’m really quite excited about. I’ve always shied away from this, concerned that it’s a bit narcissistic. I also wondered if I’d missed the boat as some people have been talking about moving away from their Ravelry Groups and instead setting up Facebook groups. But I have reservations about the linearity of Facebook groups and how topics that don’t immediately resonate slip down and out of view. Ravelry allows more different threads of conversation to be immediately accessible and I prefer that. I imagine the group will grow slowly and organically as my output increases and it can be a place to touch base and chat at any time. The Ravelry group is the place where I will post all news and events, conduct test knits, run KALs, draw random prizes etc. Why not check it out and join. 2. This Blog – You’re here already so Thank You. I want to start blogging more regularly, and I have plan to do so. I updated the appearance of the blog in the New Year as part of this process and have been working away on some posts that fit under the themes of ‘Textile History’ and ‘Sheep, Wool, Landscape and Connectivity’. The new banner picture fits in with this latter theme and was taken in the Spanish Pyrenees a few summers ago now. I’m really looking forward to sharing these posts. Knitting design is one element of what I want to share on the blog but by no means the only element. Knitting is my way into a much wider set of issues about creativity, textile history and how we inhabit and nurture our world. You can sign up to follow the blog if you don’t already by clicking the ‘follow’ button in the right hand side bar of all the main pages. 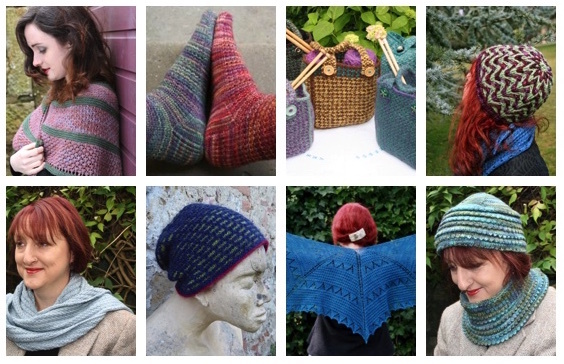 Let’s celebrate Indie June – The patterns below are available at 20% off via Love Knitting for the month of June. If you knit a project, share it with the Love Knitting Community using the HotTag #IndieJune2017 you could win £100 to spend on the Love Knitting Site (full details here) – the deadline is June 25th so don’t hang about. The project with the most favourites will win so be sure to stop by the Ravelry group and let us know you’ve posted, use the contact me form here on the blog to let me know, or if you’re on Instagram, tag me (Tessyoung001) and I’ll re-post and hopefully those hearts will stack up….